What barcode types can be scanned with codeREADr? Note: We add barcode languages on a regular basis. If you don’t see the symbology you need to scan, contact us. To compare these engines please look here for credentials to test with. Note: the standard scan engine supports UTF-8 encoding. 1 – SD PRO supports ISO-8859-1 (Latin1) encoding as the default. Please contact us if you need support for UTF-8 encoding. 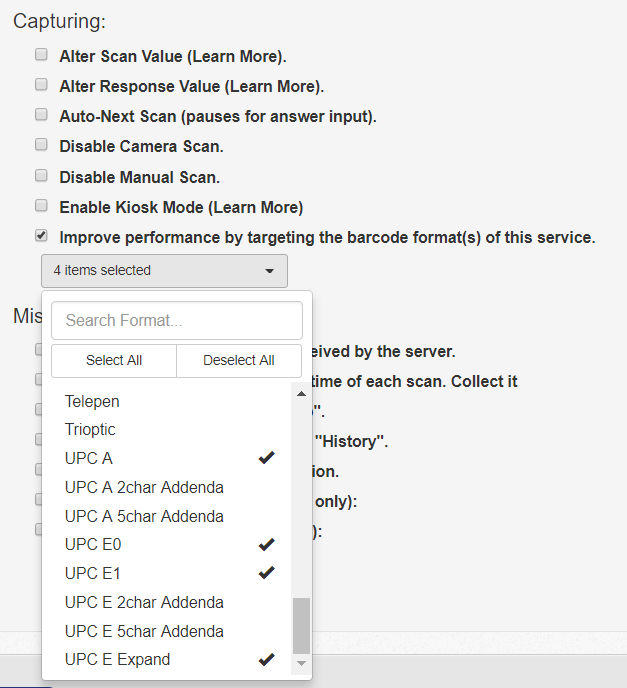 2 – For best practices when scanning UPC/EAN barcodes, please see the blog article on Smart Scan with UPC/EAN barcodes.